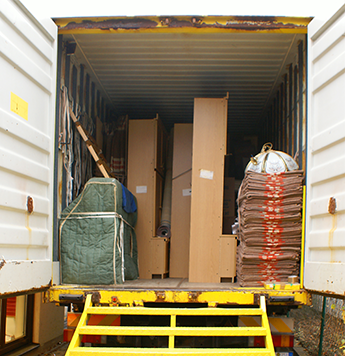 With our services, we ensure that your move goes without a hitch and that your goods arrive on time and intact. This way you do not have to worry about getting your household goods to your new home. When you choose our team for your move, we always start by estimating the value of your goods. This lets us create an accurate valuation of your move. We will then begin preparing your household for travel. Our team will carefully pack most of your possessions in boxes, labeling each box with the contents. We will wrap large furniture items to ensure they are protected while in transit. Finally, for appliances, we recommend having a professional technician prepare them for transportation. This ensures that they are protected from internal damage. As part of our home moving service, we can arrange these technicians for you. Vehicles need to be in good working order and free from leaks for us to move them. They also need to be clean so that we can inspect them before loading. This inspection lets us know what condition the vehicle is in before travel and lets you know what state to expect it in when it arrives at your new home. While our staff always handles your goods with care, accidents can happen. That is why we offer two options for replacement protection. The first is our Released Rate Protection, which is included in our home moving service and covers minimal damages. This plan is best when a third party is covering your move. Our other protection plan is our Replacement Value Protection. This plan covers the full replacement or repair cost of your goods if they are damaged in-transit. Contact us when you need help with your move. We proudly serve Grand Prairie, AB, and the surrounding areas.